In 1981, Tom and Jerry, Hanna-Barbera's Oscar-winning cat-and-mouse team, saw home video release for the very first time when MGM/UA Home Video distributed the first of a seven-volume set on VHS, Tom & Jerry Cartoon Festival. Its contents comprised of the following shorts: The Flying Cat, Dr. Jekyll and Mr. Mouse, The Cat and the Mermouse, the Academy Award winner The Cat Concerto, The Bodyguard, The Little Orphan, Jerry's Cousin, and Mice Follies. 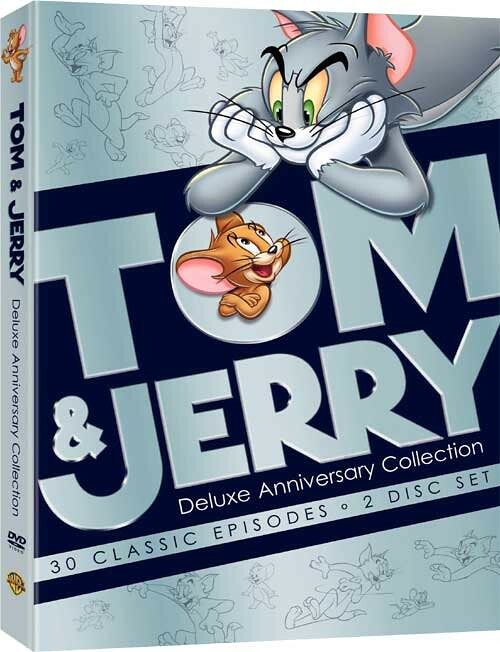 In the 28 years since, numerous other releases have followed suit, on VHS, Beta, videodisc, laserdisc and digital video disc, yet focus has been largely put upon the theatrical shorts, the 1990-93 Tom & Jerry Kids Show, and the recent Tom & Jerry Tales. Not much stock has been placed upon the Hanna-Barbera's 1975 made-for-TV T&J shorts (or even Filmation's from 1980), since these aren't very fondly remembered (or liked!) by devout classic cartoon fanatics. Finally, word broke in the spring of 2009, that, in spite of the massive undertow of criticism, H-B's 1975 incarnation of Tom & Jerry (my all-time favorite!) was deemed worthy of DVD release. (Pigs have flown! Heck has frozen over!) 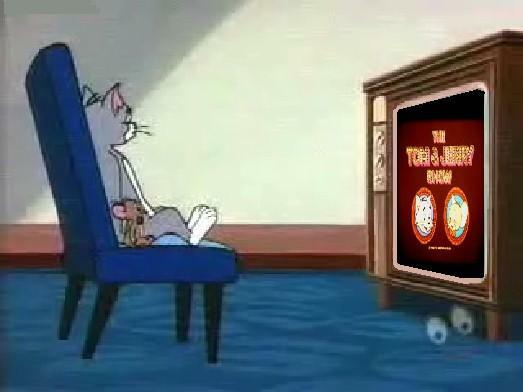 And so it was that, on Tuesday, October 27 of that year, cartoons from the premiere telecast of The New Tom & Jerry/Grape Ape Show (show #TJGA-1, originally aired on ABC September 6, 1975) were officially released as part of Disc 2 of Warner Home Video's Saturday Morning Cartoons - 1970s Volume 2. Not only are the original New Tom & Jerry/Grape Ape Show interstitials included on the set (much to the unbridled delight of this happy camper of a webmaster! ), the entire show is restored, with crisp and clear quality, from the original 35mm interpositive masters, despite all rumors to the contrary that they were lost! (As ye seek, so shall ye find.) Also, mini-previews of what episodes are to come preceding commercial breaks are been included. The original Main Title itself boasts a backing track which was later used for The Mumbly Cartoon Show syndicated Main Title in 1977. 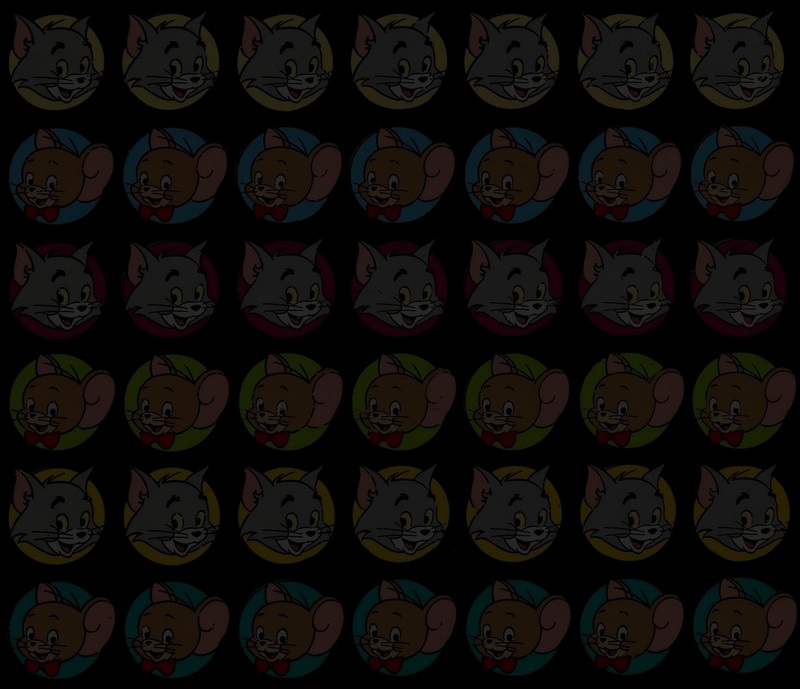 New Tom & Jerry episode 80-15, "Cosmic Cat And Meteor Mouse," was later released on WHV's Tom & Jerry Deluxe Anniversary Collection on Tuesday, June 22, 2010, representing T&J "Through The Decades." Which brings us to the focus on this very page you see here. 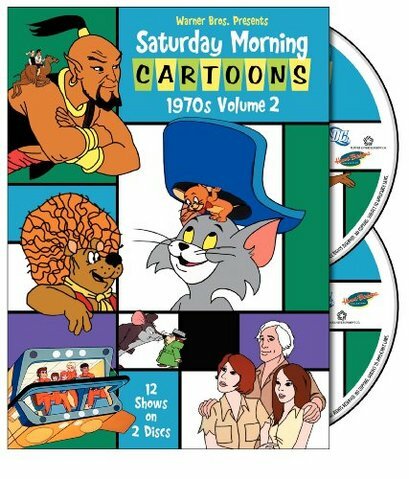 This details every official release of Hanna-Barbera's 1975 made-for-TV incarnation of Tom & Jerry on DVD and provides a vessel for ordering said items online via Amazon.com, though they can also be purchased from other online outlets (i.e. Barnes & Noble, Best Buy, Borders, DVD Empire, etc.). Let's hope that Complete Series set is just around the corner! Distributor Warner Home Video, Inc. Warner Home Video, Inc. The Bugs Bunny/Road Runner Hour - For Scent-Imental Reasons/Stop, Look and Hasten/Hare-Way to the Stars/Duck! Rabbit, Duck!